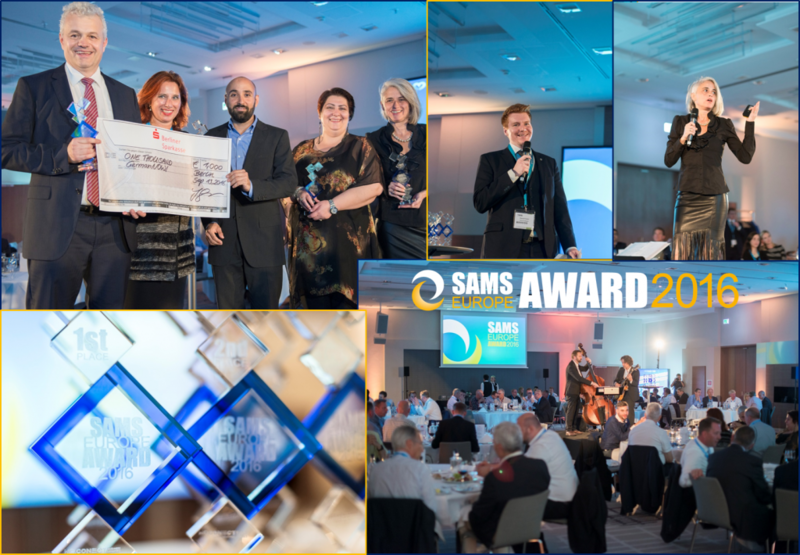 On the occasion of the 5th SAMS Europe, the leading SAM and SLM event in Europe, we.CONECT bestowed the prestigious SAMS Europe award for the 5th time. The award is the top honour for outstanding SAM & SLM projects! 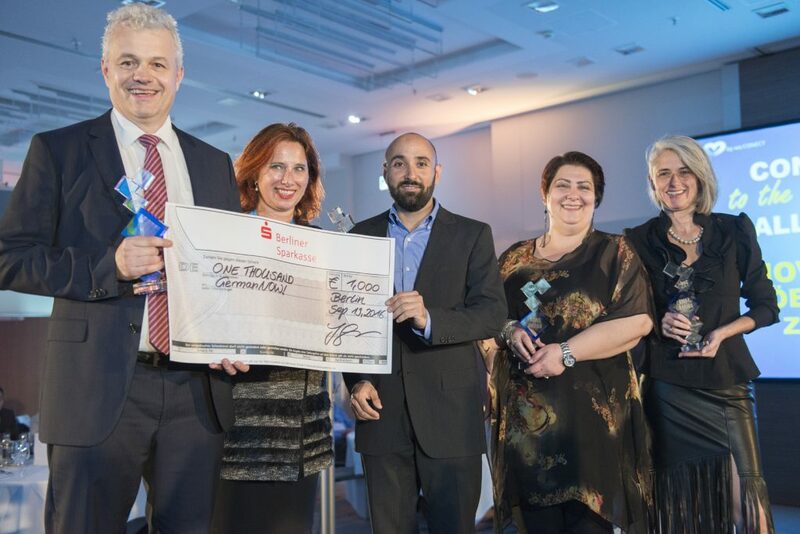 The proud winners of the evening were the world´s largest healthcare company Novartis and the engineering consulting group COWI. 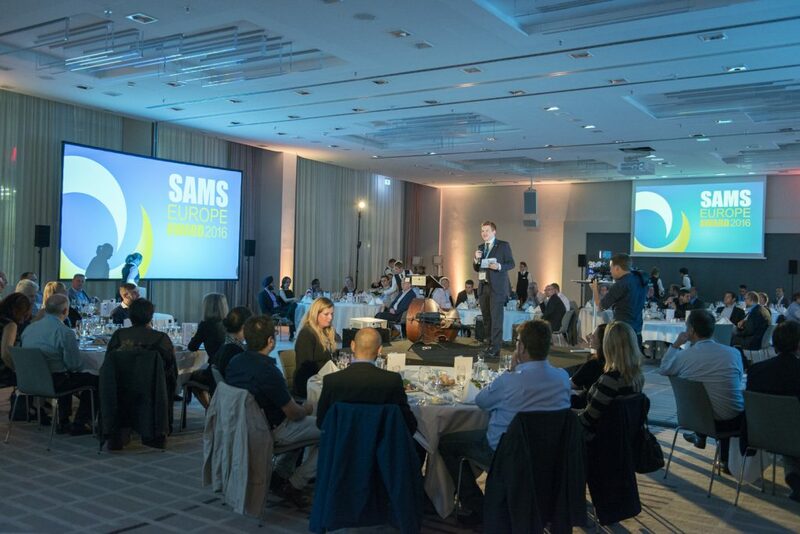 On the evening of day one the European SAM and SLM elite took part in the SAMS Europe award ceremony 2016 and gained insights into leading, state-of-the-art projects of the industry. we.CONECT once again received a wealth of exciting and complex applications and all participating projects were carefully reviewed and evaluated by our esteemed expert jury comprising Steven Wynants (Toyota), Jaswant Kalawy (Reckitt Benckiser) and Rajiv Gupta (Coca-Cola). They had the challenging task to select the nominees in each category prior to the conference based on their experience, knowledge and expertise in SAM/SLM. 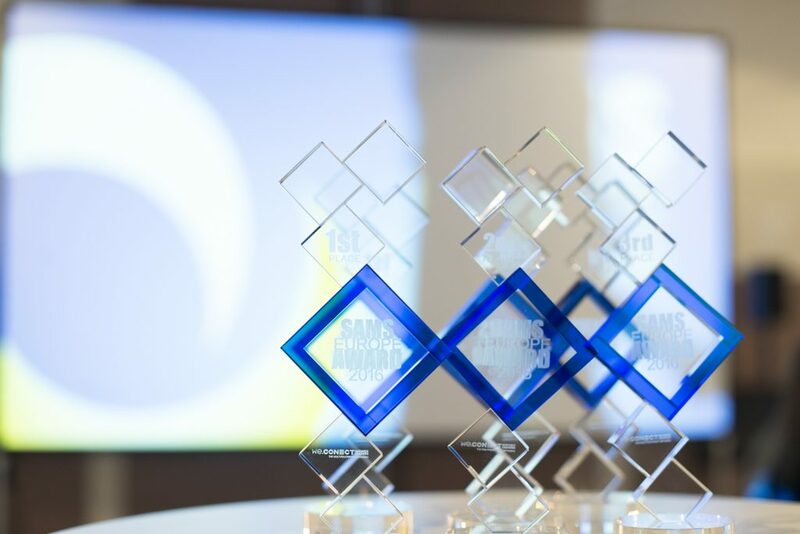 The award exclusively recognises, celebrates and honours exceptional projects in the two categories Tools & Software and Overall Project/Strategy. 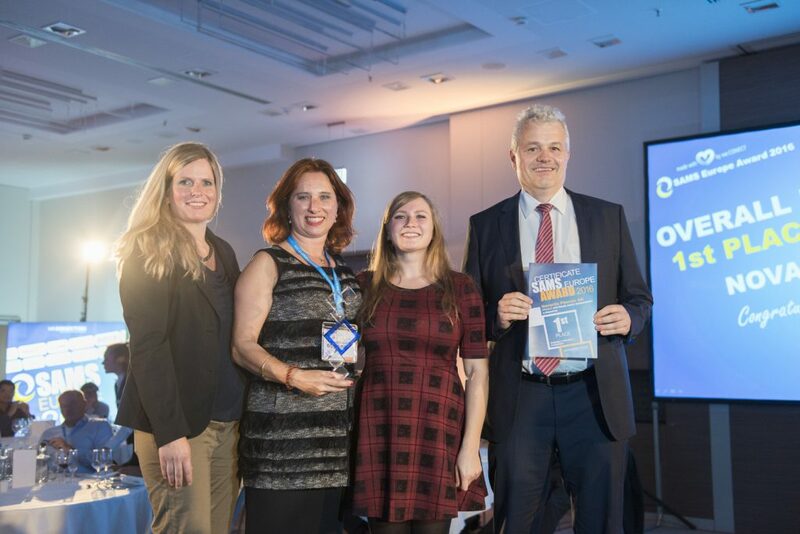 Novartis won the first place in the category “Overall Project/Strategy” for its project “Software Asset Management @ Novartis”, presented by the Head of SAM Jochen Hagenlocher and Jutta Hangarter, Global Lead Enterprise Software. 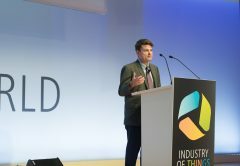 In comparison to the other applicants, the Novartis’ project stood out because of the strategic impact: an integrated, global SAM value chain with global strategic partners, processes, systems, a governance model as well as a cost effective hybrid-solution with offshore- and onsite-resources were implemented. The second price went to ÖBB (the Austrian Federal Railways) for the project “SAM in ÖBB”. 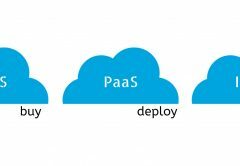 Hirsa Navids team implemented a SAM Tool in a highly complex environment and achieved an organizational change in a public organization. Desiree Weiss from Switzerland’s largest insurer Zurich was happy to receive the third price for the project “Global SAP Engagement”. The jury was impressed by the holistic approach and the great expertise on SAP licensing within the company. The first prize for the category “Tools & Software” went to COWI for the project “SAM Tool for licenses calculation”, presented by Tomas Urbutis. 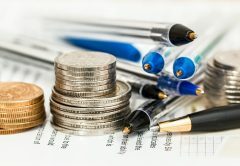 Thanks to the project the connection between SAM tool and finance platform helps to make invoicing easier and compliance without any external SAM tools was achieved. 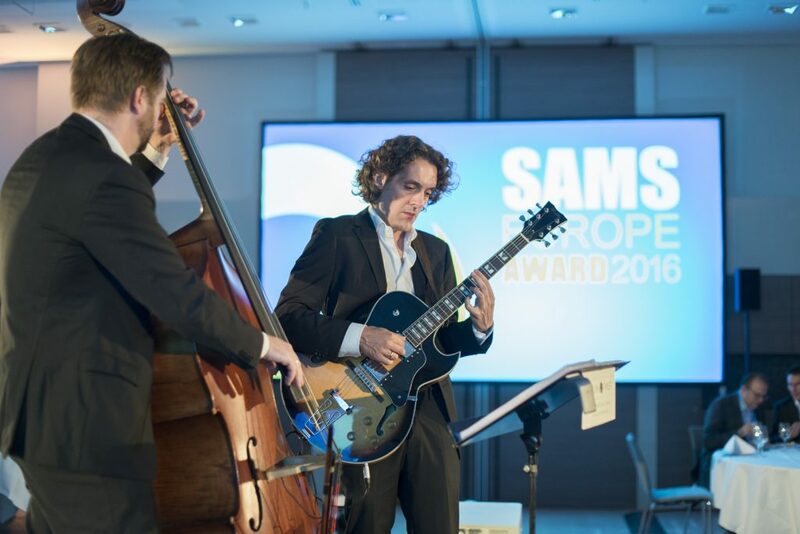 Novartis was rewarded the second time this evening with the second prize for the project “Aspera SAM Intelligence – Aspera & Novartis”. 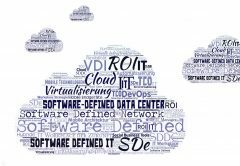 Thanks to Jochen Hagenlocher and his team, a Global SAM Reporting Capability was implemented in a very short time, enabling effective decision support to optimize Software compliance and to optimize global SW spend. 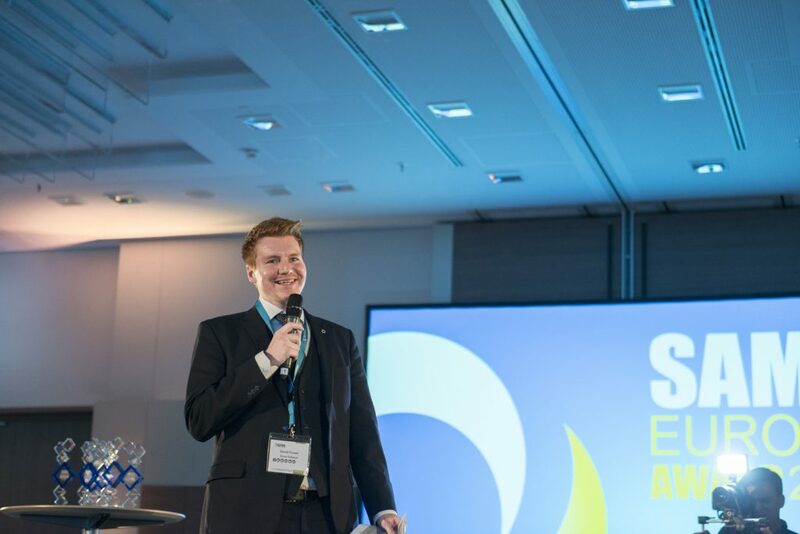 Dr. Matthias Schuchardt from the cable manufacturer won the third prize for the global project “SNOW@Leoni”. 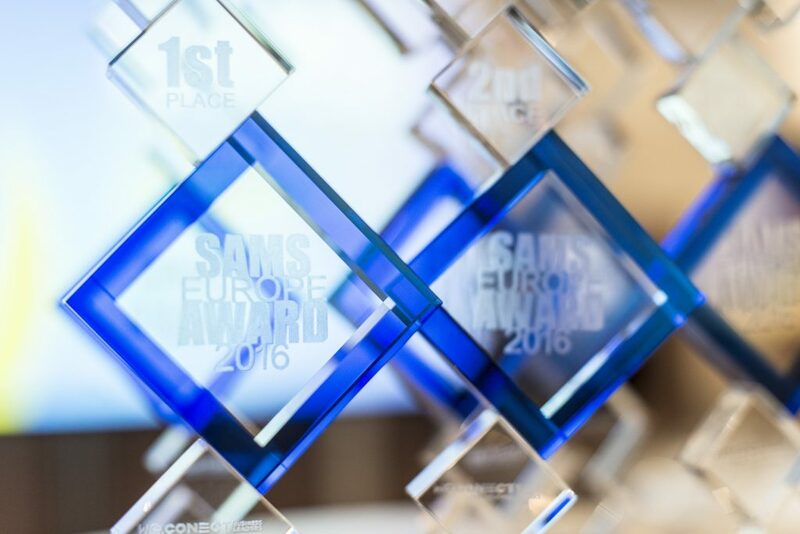 All SAMS Europe award winners received a prestigious trophy and certificate proving their excellence. In addition we.CONECT donated 1,000 € on behalf of them to support the charity project ‘GermanNOW!’. With more than 1000 volunteers in Berlin, GermanNOW! 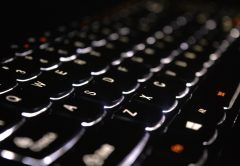 makes sure that refugees get access to initial German language skills for free – and regardless of country of origin or official status. 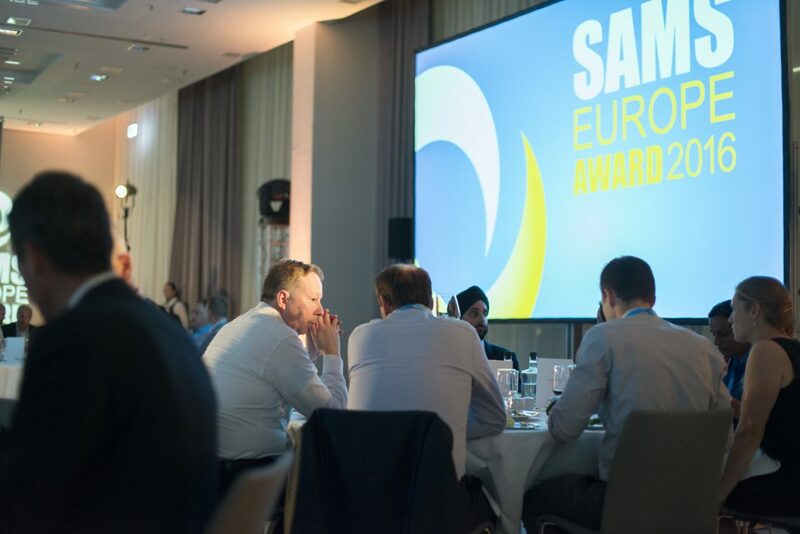 The SAMS Europe award will once again be taking place next year, on September 18, 2017 in Berlin.